The FDA has announced the approval of the United States’ first-ever oral tyrosine kinase (TRK) inhibitor, Loxo Oncology’s Vitrakvi (larotrectinib), for the treatment of solid tumours with are metastatic, that have a neurotrophic receptor tyrosine kinase (NTRK) gene fusion without a known acquired resistance mutation, for which surgery resection could cause severe morbidity, or have not responded to alternative treatment. 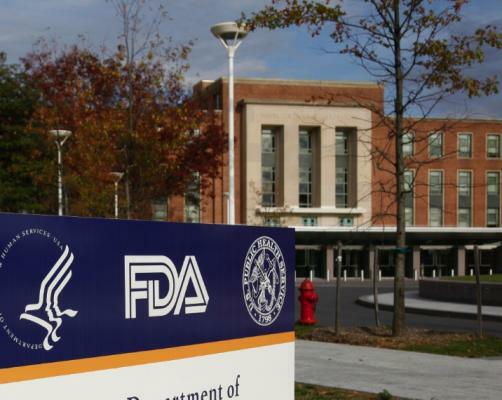 “Today’s approval marks another step in an important shift toward treating cancers based on their tumor genetics rather than their site of origin in the body,” remarked FDA Commissioner Scott Gottlieb. The decision, made under the accelerated approval pathway, was based on data which showed that the drug achieved an overall response rate (ORR) of 75%, as well as a complete response rate of 22%. The agency was clear that continued approval may require the manufacturer to confirm these benefits with data from further confirmatory trials. "The FDA approval of larotrectinib marks an important milestone in how we treat cancers that have an NTRK gene fusion – a rare driver of cancer. I have seen firsthand how treatment with larotrectinib, which is designed specifically for this oncogenic driver, can deliver clinically meaningful responses in patients with TRK fusion cancer, regardless of patient age or tumour type," commented Dr David Hyman, Chief of the Early Drug Development Service at Memorial Sloan Kettering Cancer Center and a global principal investigator for a larotrectinib clinical trial. "We now have the first therapy approved for this genomic alteration, regardless of cancer type." Dr Josh Bilenker, Chief Executive Officer at Loxo Oncology, also said: "We are grateful to the investigators, research teams and patients who contributed to and participated in the larotrectinib clinical trials that supported this approval. The approval of Vitrakvi is a testament to the relentless prioritization of biology in the drug development process. It is now even more critical to screen patients of all ages with advanced solid tumours for actionable genomic insights that could benefit their care or aid in their referral to clinical trials."